What is the need of Press Release Writing? 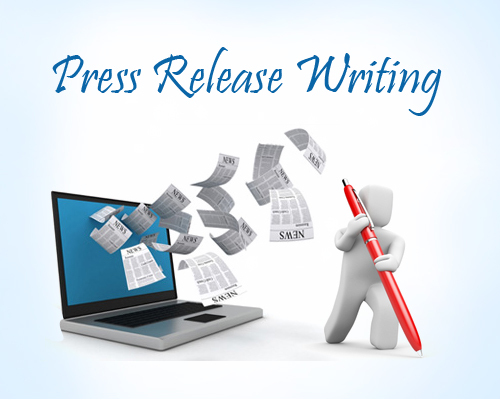 The main reason behind press release writing is to promote the particular services, business and products. It is generally the art which are being jotted down by the well-known journalist. It is much known for maintaining the interests of visitors who visit your website to read the particular subject about the particular information. Before maintaining the press release writing it is essential to consider the below mentioned tips. If you are writing a press release then it is very much important to maintain the headline in an informative, catchy and clear way. The heading should always be in the bold and the first letter of the headings should be capital. It is also very important to remind that in press release writing you are also required Press Release writing to mention the location, date, incident and event. Try to make the paragraphs short and simple, so that it can be easily understood by the readers. If the beginning of the press release should be start with the effective wordings then readers will get attract towards it. Press release writing must be very interactive, and just to maintain it in an effective way it is essential to use simple and easy wording. If you are writing the press release for any of the particular company then always try to mention the name of the company. With the help of above mentioned points now you will be able to get the best and reliable services. The best thing with press release writing is that it is very much different from the normal writing, and moreover with the help of this writing you will be able to raise the level of your business to new heights of success. So, if you are looking for the best in class services related with the press release writing then Thoughtful Minds Web Services Pvt. Ltd. is the best alternative to go with. We are having a team of very skilled and professional content writers who will assist you in the most possible way.